-Colin Farrell is the new AAAaaarnold. No way. Plus, if it's NEW SHANGHAI they should use Chinese actors... all the big names are Korean... John Cho and Will Yun Lee. Oh well. It IS Hollywood. Total Recall is hitting theaters in 2012 but first it hit theaters in 1990! In the wake of the trailer debut, Beyond The Trailer host Grace Randolph compares the 1990 Arnold Schwarzenegger Total Recall to the 2012 Colin Farrell Total Recall! And can Kate Beckinsale and Jessica Biel truly replace Sharon Stone and Rachel Ticotin? Plus will the prostitute with three breasts return? Learn the differences between Total Recall 1990 and Total Recall 2012! Beyond The Trailer is associated with YouTube Next Lab. If the new remake doesn't have this CLASSIC line then I won't see it. Common Cohaagen you got what you want. Give these people air!! 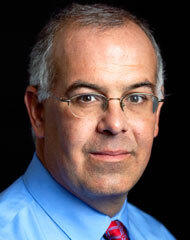 By the way: That technician in the above clip looks like New York Times columnist David Brooks, doesn't it?